With more than 8 years practicing both as a lawyer, and in-house counsel within legal departments in international companies, Julie works in all areas in relation to Corporate law and is turned toward supporting businesses in a international context. 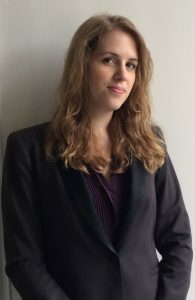 She also has a good knowledge of the EMEA region after working for 2 years in this area and on international projects in the francophone and lusophone Africa and the Middle-East, for Corporate law, as well as commercial contracts and international dispute resolution. Julie joined Grant Thornton in 2017 and oriented her practice toward companies: corporate law, company transmission, mergers and acquisitions, capital-investments,…). Julie works indifferently in French or English. Julie is an active member of the Franco-British Lawyers Society and the Cross Border Advocates initiative.